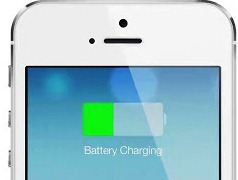 Are you experiencing slow or sluggish charging rate from your iphone device? Even when you charge the device’s battery for several hours and it refuse or delay so much to be fully charged. The question will now become, is there anything wrong with my iphone device? Why so much delay before it gets fully charged? In case you have asked yourself this question because of your iphone device, then here are three expert tips you wouldn’t want to miss for boosting your iphone battery charging rate. They are very simple to apply, read on to get the tips. Do you know that this is where Android phones have advantages over iphone devices. In case you don’t know, most of the newly launched Android devices has built-in fast charging technology that enables most of this device to charge very fast, probably in few minutes / hours time. But Apple manufacturers are yet to embed this feature on their device, so currently, no iphone device supports the built-in fast charging rate. We are hoping the include such feature too for their newly coming iphone devices. Reason to make use of an ipad charger; if you don’t know, ipad charger are built differently from that of iphone charger. The ipad charger always comes with a supply of 12W and 2.1A of power compared to iphone charger, which comes with just 5W and 1A of power. Also, the ipad charger are built in such a way that it’s compatible with all other Apple mobile devices. See Also: The Latest Apple Launched Device Red Iphone 7 And Iphone 7 Plus You wouldn't want to miss. Applying this to your iphone when charging helps to reduce the performance of the phone thereby prolonging the battery life. So when charging your iphone having switched to Low Power Mode, the charging speed/rate increases automatically. When you turn to Airplane mode on your iphone, the feature turns off all forms of wireless connections just to make your iphone device charge with speed. So in other words, it stops your device at the moment from getting any notification, no call or messages will come in. I hope is not much for you already, well that’s the little price you got to pay in order to get what you want. How To Know Original Charger For Your Android Phone And The Rate At Which The Device Charges With Different Chargers. ( A must read) Addition of Smart Functions And Subtraction Of Dangerous Damages To Your Android Device. For now that’s all the tips we have for your iphone device. Now apply and see a great performance and improvement in charging your iphone device faster. Got any question or contribution? Kindly drop it using the comment box.